As readers of this site, you are already savvy to one important aspect of social media: blogging. How familiar are you though with other social media networks, programs and organizations such as Twitter, Instagram, Google +, Facebook and the like? Or perhaps you are inspired to start tweeting but are not sure exactly how to do it. A great new resource, written by Lady and the Blog friends Aliza Sherman and Danielle Elliott Smith (pictured below) is Social Media Engagement for Dummies, and it will shed some serious light on all of you social media related questions and show you how to master these outlets in order to engage with your audience. 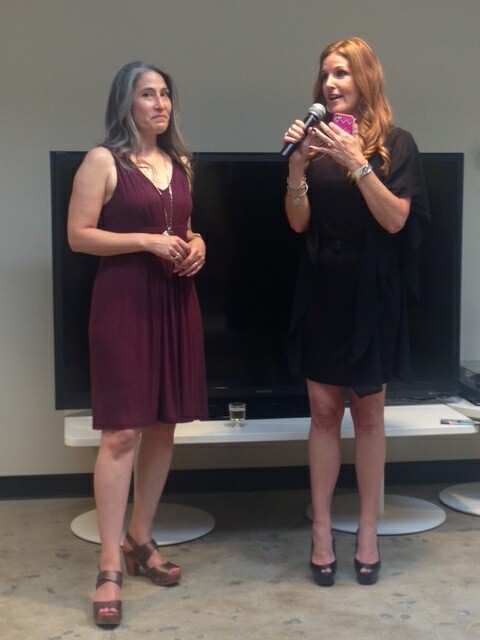 Danielle Elliott Smith (pictured above, at right) is a digital and social media guru who speaks often on the subject. She is also the founder of ExtraordinaryMommy.com and an award-winning Television News Anchor. Previously, Sherman and Smith have also written another book together, Mom, Incorporated, about how moms can juggle child-rearing and career-building to start a successful independent business. Last week, Sherman and Smith, celebrated the release of their book with a party at Office Links, the NYC outpost of The League of Extraordinary Coworking Spaces (LEXC), a national network of on-demand work spaces. Along with LEXC, the party was sponsored by the Wine Sisterhood, an online wine community for women, and Cabot Creamery, makers of “the world’s best cheddar” since 1919. Engagement begins in the social space: Sherman and Smith recommend starting out by choosing your appropriate social platform whatever it may be – Twitter, Facebook, etc – and using it to show your audience the human behind the e-personality. Brands such as Nike use social media to show their customers that behind the “swoosh” is a company that cares about their customers. Additionally, engagement isn’t just about brand management. Sherman and Smith met via an online interaction before they ever met in person, an anecdote which reveals the nature of another form of engagement: modern networking. Take your online presence offline: Sherman and Smith talked of how their speech at a conference on social media led directly to their book deal. They stressed the importance of taking a break from digital media in order to create a tangible connection with your intended audience. Unplug: Ultimately, Sherman and Smith will help you master using social media to interact with your audience, but they both agree that true engagement with your audience lies offline. This means: turn off the computer, put down the iPhone and get out there to meet with the people who you want to reach. For more on Aliza Sherman and Danielle Elliott Smith and their tips on social media engagement follow them on Twitter via #savvysocial. 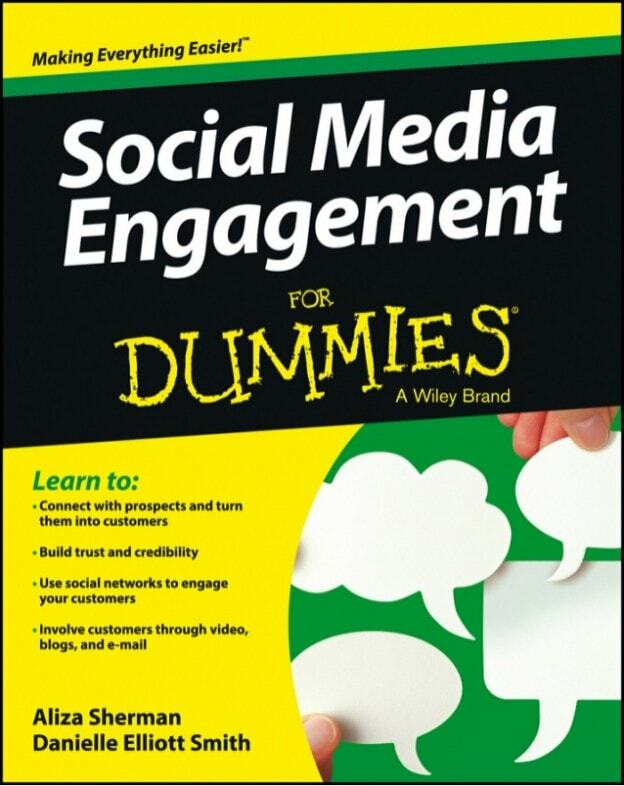 Social Media Engagement For Dummies is available for purchase on Amazon.